Thank you for your gift to the Baltimore Symphony Orchestra! If you'd like to make a gift by phone or have questions, please contact the Development Office by phone today at (410) 783-8124. For more information or to make a donation over the phone, please contact our Development office at 410.783.8124 today. 1. 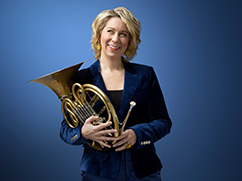 Are you just meeting the BSO? 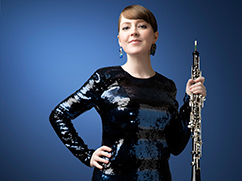 BSO Members receive exciting benefits that bring them even closer to the music, beginning at $75 with a behind-the-scenes look at a BSO rehearsal. At higher levels, you can celebrate with your BSO Musicians at Cast Parties, and our Governing Members (donors $3,000 and above) enjoy priority ticketing and other exclusive benefits. 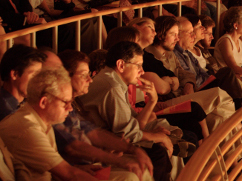 Review the full list of benefits at the Meyerhoff Concert Hall or Strathmore Music Center. 2. Where can I mail my gift? To provide additional gift instructions, you can use this donation form. 3. Does giving by credit card have an additional cost? No. While there is a fee that credit card processors charge us for accepting a credit card, we do not pass the charge on to you. You will get full credit for the amount you donate to the BSO. Should you wish the BSO to receive the full benefit of your intended gift, please add 3% to the donation amount. 4. What is the BSO’s tax ID? 5. How do I make a stock transfer? Please contact Ivan Alekhin, Development Operations Coordinator at ialekhin@BSOmusic.org or 410-783-8015. 6. How do I direct a gift from my IRA? 7. How do I make a grant recommendation from my donor advised fund? 8. Can I give in Honor or Memory of a friend or family member? Yes! Please click on the Special Instructions checkbox on the gift form. In the boxes provided, please enter the Name, Mailing Address, and Card Message for the person you wish to honor or memorialize. This ensures that we send an acknowledgement card to them and a tax receipt to you. 9. Can I give a membership as a gift to someone else? Yes! To give a gift membership, click on the Special Instructions checkbox on the gift form. In the boxes provided, please enter the Name, Mailing Address, and Card Message for the person you wish to receive the gift membership. This ensures that we send an acknowledgement card to them and a tax receipt to you. 10. I am a Federal Employee. Do you participate in the Combined Federal Campaign? Yes! You can give your gift with payroll deductions throughout 2018-2019. The BSO is listed in the annual Combined Federal Campaign catalog, under #11363. Please visit www.cbacfc.org (Chesapeake Bay Area) or www.cfcnca.org (National Capital Area), or ask your employer how to enroll today! 11. How can I provide for the BSO in the future? 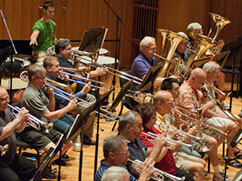 The best way to provide for the BSO’s future is to make an endowment gift. Endowments provide one of the most secure streams of revenue because they provide income that the BSO can depend on in perpetuity, enabling it to weather the ebb and flow of other funding sources. 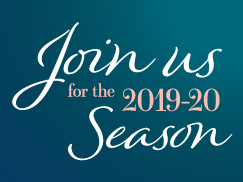 When you make an endowment gift, every aspect of the Baltimore Symphony Orchestra benefits annually from your investment including: our superb BSO musicians, our ever-expanding education and community outreach initiatives, and our innovative programs that are attracting new and diverse audiences. 12. How can I make a gift through my estate? Including the BSO in your long-term financial plans secures a legacy of musical excellence for future generations. There are many ways to make a gift through your will, trust, IRA, life insurance policy or donor advised fund. For more information about making a legacy gift, please visit our Planned Giving website. 13. Does the BSO accept non-cash gifts (i.e. real estate, instruments, etc.)? Yes, the BSO accepts non-cash gifts on a case by case basis. Please contact the Development Office at 410.783.8124 if you would like to discuss making an in-kind gift to support the BSO. For more information or to make a donation over the phone please contact our Development Office at 410.783.8124 today. Thank you for supporting your Baltimore Symphony Orchestra! Mr. and Mrs. Kenneth W. DeFontes, Jr. The Honorable and Mrs. James T. Smith, Jr.
Mr. and Mrs. T. Winstead, Jr.
Mrs. Thomas H.G. Bailliere, Jr.
Mr. and Mrs. Charles Berry Jr.
Ellen Baron Blaustein and Mordecai P. Blaustein, M.D. Arthur F. and Isadora Dellheim Foundation, Inc.
Mr. & Mrs. LeRoy A. Wilbur, Jr.
Mr. and Mrs. John W. Conrad, Jr.
Mr. and Mrs. A. C. Hubbard, Jr.
Louise D. and Morton J. Macks Family Foundation, Inc.
"In memory of Richard Kastendieck"
"In loving memory of Jim Kehoe & Polly Schweibinz"
Audrey and Stanford G. Gann, Sr.
Mr. and Mrs. William R. Richardson, Jr.